Presumption of legitimacy for lesbian couple, Hague Convention on child abduction, Awarding child responsibility by default, Moving with child to Germany, Uniform Parentage Act and more. After of cataloging all family law cases in Wisconsin (and many from other states), Loeb & Herman, S.C. will be making our directory available for subscription based access through a new online service called Wisconsin Family Law Case Finder. 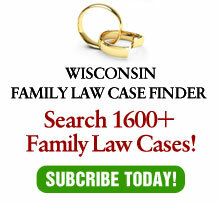 All Wisconsin family law cases from the last approximately 40 years, categorized by topic and linked to the full opinion are in this directory. Included as well are all significant unpublished, but citeable cases. Introducing Wisconsin Family Law Case Finder, a subscription based legal research service specifically designed for family law attorneys. Married lesbian couple holds the “presumption of legitimacy”, which says that a child born during a marriage is presumed to be the two spouses’ child, and therefore, a paternity petition launched by the male sperm donor must fail. The decision joins Matter of Maria-Irene D. (Carlos A. v. Han Ming T.), 153 A.D.3d 1203, 1205 (2017), decided in October 2017. District court did not impose heightened legal standard, in granting father’s petition under Hague Convention on the Civil Aspects of International Child Abduction for return of his child to Mexico, when it noted that, “[b]ecause neither side [was] able to provide objective evidence, [mother’s] allegations of abuse fail to rise to the level of clear and convincing evidence of a grave risk of harm,” where court noted parties’ conflicting testimony, made statement in its findings-of-fact section, and did not state that objective evidence was required to prove grave risk, but instead recited correct “clear and convincing evidence” standard. Default judgment granting father primary residential responsibility of child was properly entered; father served mother a summons and complaint, when mother did not respond within 21 days, father served a notice of motion and motion for default judgment, mother acknowledged receipt of the notice and motion but did not respond, father served mother a notice of default hearing, and mother did not appear at default hearing. Trial judge was not required to recuse himself, on remand, even though he had previously ruled against father, in contested adoption case; the court’s determination that father was not credible was not unusual, as it was the court’s province to determine witness credibility, and an adverse ruling against father did not establish bias. 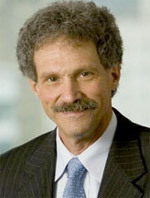 Trial court properly considered extrinsic evidence that ex-husband’s income fluctuated widely from year to year on the basis of business conditions when court decided ex-wife’s motion to modify a previous modification of alimony, where the separation agreement did not indicate whether the purpose of the alimony award was to allow ex-wife to continue to share in ex-husband’s standard of living after the divorce or, instead, was to provide her with the same standard of living that she had enjoyed during the marriage. Father was obligated to continue paying child support for his stepson, although stepson’s biological father intervened in mother’s child custody modification proceeding, where father continued to act as stepson’s psychological father, and father retained legal custody of stepson. Evidence in divorce proceedings supported finding, under “real advantage test,” that grant of mother’s request to move with the child to Germany was in the best interest of child; the court found that in Germany the child would be attending better schools, would again be treated by her long-time pediatrician, would have support from a loving extended family with whom she had frequent and extensive contact since birth, was fluent in German, had already attended German schools, and had kept in touch with her friends in Germany, and further noted the child’s quality of life would be particularly improved through the impact of the improvement in wife’s quality of life in Germany, where, unlike in Massachusetts, she could meet her expenses and not live in poverty. Husband, who had temporary employment visa and was married in India, filed for no-fault divorce. Wife moved to dismiss husband’s divorce complaint, alleging that husband’s nonimmigration visa status prevented him from being Vermont domiciliary and that Indian law governed the dissolution of the parties marriage. The Supreme Court held that husband lived in Vermont with the intention of remaining there indefinitely, as required for husband to be considered Vermont domiciliary and meet the residency requirement for trial court’s subject matter jurisdiction over husband’s divorce action; further, as matter of apparent first impression, husband’s temporary nonimmigration visa status did not prevent him from establishing Vermont residency, as required for trial court to have subject matter jurisdiction over husband’s divorce action. Sufficient evidence supported trial court’s finding in divorce action that funds in husband’s investment account were marital property, despite argument that account was used to pay a marital debt; husband had transferred all but $21,920.30 of the $224,305.78 in his 401(k) account to the investment account within a three-month period, husband did not list the investment account on his affidavit required to be filed at the initiation of the divorce case, trial court found that husband withdrew $70,530.00 from the investment account in violation of mutual restraining orders, and trial specifically found husband’s testimony about a purported marital debt to be not credible. Statute providing that order for child-support payments could not extend payments after child reached age of 20 did not negate father’s obligation to make annual payments into trust fund for child’s post-high school education expenses, mandated by court in divorce order when child was 18 months old, though child was over age of 20 when enrolled in post-high school education and when mother demanded money; order did not require that payments extend past child’s twentieth birthday, only reason father was faced with making payments at that time was his failure to make payments for 17 years, statute did not expressly prohibit parties from contracting for payment of post-high school education expenses, and father and mother had agreed to this obligation before it was mandated by court. Memorandum of agreement, adopted by divorce court, settling issue of paternity of child born during parties’ marriage in favor of child’s biological father, as opposed to husband, which memorandum also designated wife, child’s biological father, and husband as “co-parents” of child, did not confer any enforceable parental rights on husband; child’s biological parents were child’s legal parents under the Uniform Parentage Act (UPA), such that court could not award legal custody to husband over their objection absent a finding, which it did not make, that they were unfit or that extraordinary circumstances were present, and such memorandum of agreement had been superseded by subsequent parenting order providing that husband was a third party with visitation rights, not a parent. The following was provided by Lynne Davis, Government Relations Coordinator, State Bar of Wisconsin. AB 551 (relocation) and AB 586 (contingent placement) passed the Assembly unanimously by voice vote [on January 16] during their floor session and their companion bills, SB 448 and SB 474, passed out of Senate Judiciary today unanimously as well, 5-0 and 4-0 respectively. Since AB 551 and SB 448 are identical, as are SB 474 and AB 586, AB 551 and AB 586 do not have to go through a Senate committee for a vote again, they just go straight to the Senate floor for a vote of final passage. The next scheduled floor period date for the Senate is next Tuesday, January 23, but it may not get scheduled that quickly. The Senate plans to schedule more floor period days in February and March. In a recent Ohio case, the trial court adopted H’s expert’s valuation of the family business, an adult novelty store, of $338,000. W also presented a valuation expert who valued the business at $205,000. Both experts used an income approach to value. The business was awarded to W at H’s value. On appeal, H argued that his expert’s valuation failed to take into account some of the assets of the business – a checking and a savings account. The Court of Appeals stated that H’s argument did not make sense. The Court stated that the income approach “by design does not take into consideration the assets of the business.” H did not offer an alternative valuation. The Court also stated that there is no flat rule that only one method of valuation is appropriate. When there is conflicting testimony, the Court has discretion to accept all, part or none of the witnesses’ testimony. Following is provided courtesy of Contributing Editors Stephen Hayes and Elizabeth Neary of Grady, Hayes & Neary, LLC in Waukesha, WI. They can be reached at (262) 347-2001 or via e-mail. There are times when a placement for adoption simply is not in the best interests of the child or the adopting family. Consultation with legal counsel comes after significant work with therapists has not resulted in enough positive improvement to encourage the family and child to continue their efforts. It is strongly recommended that before any official action is taken by the adopting parents concerning the discontinuation of the placement that legal counsel be consulted. Wisconsin does have a specific procedure involving termination of parental rights to conclude an adoptive relationship. The bigger problem is normally finding an adoptive resource willing to take the child after full disclosure of the child’s physical or mental health history. It should also be remembered that if the child is going to be placed with a family out-of-state, compliance with the Interstate Compact for Placement of Children is necessary. Once the decision to outplace has been made, adoptive parents, and often the child, are anxious to have the new placement take place and the matter brought to conclusion. Such matters often take many months to resolve. The parties need to exercise patience, seek legal counsel and consult the agency which assisted with the adoption once a decision has been made to seek outplacement. Adopting parents should remember that the law treats the adopted child as though it was a birth child for legal purposes. The courts, social workers and attorneys may not readily accept the decision of a parent to outplace an adopted child. For ordering or subscription information (the current issue may not be available yet), please visit the ABA Family Advocate web site. For subscription information, call 1-888-859-8081.